The razing of the two plants is no surprise, as they are currently razing both sections of the Lansing Car Assembly Plant in Lansing. But, the Oldsmobile Headquarters building is one of the only examples of International-styled architecture in the region, and the thing is in good shape, too. General Motors Corp. will tear down the idled Lansing Craft Centre and Lansing Metal Center in Lansing Township. 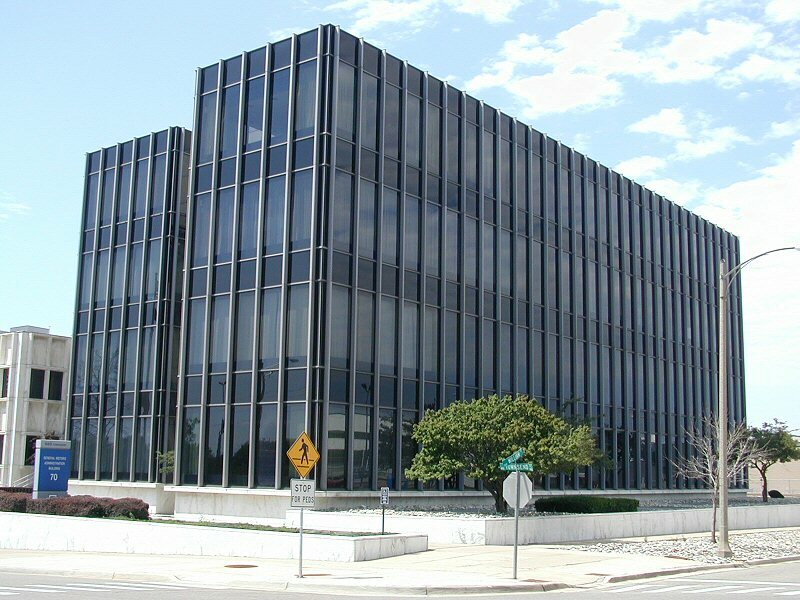 The Detroit-based automaker also will raze the Oldsmobile office building south of Interstate 496 in downtown Lansing. I know the plant and office building were empty and a drain on the city, but our automotive history is disappearing so fast. It was not long ago that more cars were produced in Lansing than any other city. I know what you mean. While in many other communities GM down-sized in phases and pieces, it seems like every single plant was shutdown within, what, 2-3 years of each other? I guess in the long-run, it's better to downsize as quickly as possible so as not to prolong the inevitable, but it sure does hurt in the short-term. BTW, I can understanding the razing of these older plants, many of them pieced together, and unsuitable for a great industrial reuse even if retooled properly. But, I can't believe them wanting to get rid of a relatively modern office building (Class A, at that, I believe), large (268,000 square feet), and then the architectural and histsorical value comes into play, as well. That would be a great idea. Unfortunately, the museum is always strapped for money. They can't even afford to renovate the tiny building they are in. Something like that could have worked if the city was willing to subsidize the museum to a greater degree.